The interactive visual arts exhibition Exiled Homes, Valletta 2018’s anthropological and artistic project that explores and shares stories of Filipino caretakers living and working inside people’s homes in Malta, opens its doors on the 20th of June at 8pm at The Mill – Art Culture and Crafts Centre in Birkirkara. 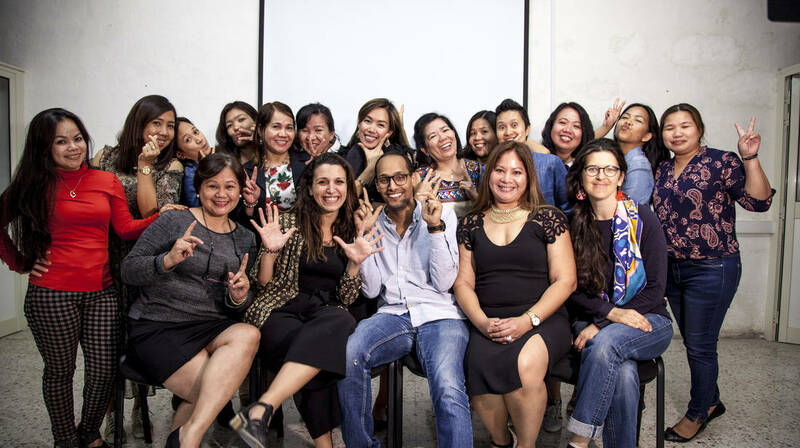 The exhibition showcases works by artist duo Aglaia Haritz and Abdelaziz Zerrou and 15 Filipino women. The Exiled Homes project was carried out in three phases. During the first phase, research was conducted by anthropologist Gisella Orsini, in the second phase artists Aglaia Haritz and Abdelaziz Zerrou led a series of artistic participatory workshops with the 15 caretakers. In the third phase, research and creations created throughout the course of this project will be presented in this exhibition. Exiled Homes will be open to the public between the 20th of June and the 13th of July 2018, on Mondays, Wednesdays and Fridays from 5pm-7pm and on Saturdays from 4:30pm-8:30pm.